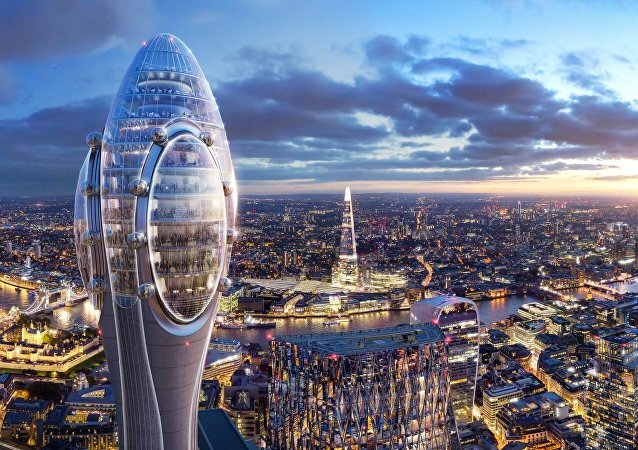 Whether it is the shape of a new proposed structure or its moving parts - opposition to the ‘Tulip tower' is facing a fresh batch of criticism. DAMASCUS (Sputnik) - The landscape of the Syrian capital will greatly change in the coming years due to the construction of two residential estates, with three skyscrapers from 50 to 70 floors tall planned to be built as part of the projects, executive director of the Damascus Cham Holding developer, Nusuh Nablusi, told Sputnik in an interview. While the initial intent behind the newly opened Media Center in China’s Guangxi was to model the terraced landscape that the southwestern province is famous for, media and locals spotted a somewhat unfortunate resemblance. The skyscrapers, known colloquially as “Stalin’s high-rises,” are a group of seven buildings in Moscow, designed in the Stalinist style, which serve as symbols of Soviet architectural achievements from the mid-20th century. In Frankfort, the capital of the US state of Kentucky, Capital Plaza Office Tower, a 28-story skyscraper built in 1972 which had been the tallest building in the city, was demolished to make way for a new complex. Wu Yongning from China set up a camera to make a viral video of himself climbing atop a skyscraper and thus earn his girlfriend a bridal gift, but met his death instead. A new museum opened in Moscow City's Empire business high-rise on July 1. Its visitors will be able to enjoy a spectacular panorama of the Russian capital from a height of over 200 meters and learn the history of the city’s “growth,” from the 14th century Ivan the Great Bell Tower inside the Kremlin’s walls to modern day skyscrapers. 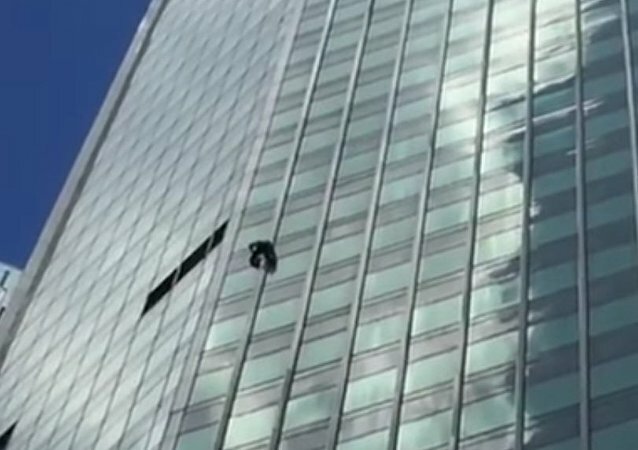 A would-be Spiderman scaled the Eurasia skyscraper at Moscow City business center without any safety equipment. 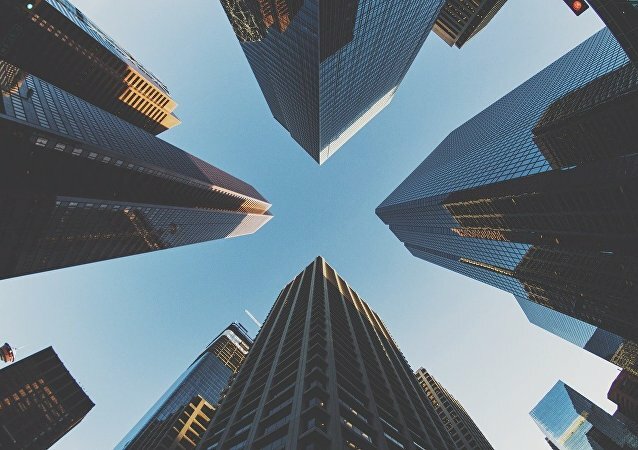 For decades, skyscrapers have evoked pride across the globe, being hailed as symbols of progress, growth and wealth. 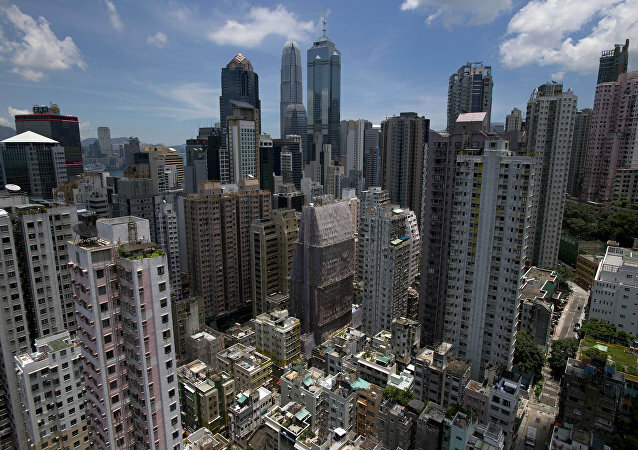 A surprising report by Norwegian researchers, however, showed that supertall buildings indicate a lack of democracy and may in fact warn of "authoritarian" tendencies. A Russian Instagram bombshell has landed herself in legal hot water after an audacious videoshoot atop a 1,000-foot tall skyscraper in Dubai, UAE. The building’s owner is bringing legal action against her for trespassing. In 2016, a total of 128 skyscrapers 200 meters in height or taller were constructed around the world; 84 of them are located in China. Sputnik takes a look at some of the most phenomenal towers erected across China in their race to the top. This video is likely to make your heart skip the beat and palms become sweaty. In Turkey, an 18-year-old student from Bursa performed daring acrobatic tricks on top of a high tower. He is gaining quite some popularity on social media, according to Turkish news portal DHA. The Evolution Tower, which rises over the Russian capital, has won the world's most prestigious prize in architecture: the 2015 Emporis Skyscraper Award.